The MayFlower Festival Outreach Project , a Neighborhood fiesta and inter-faith and non-denominational parade will be held on Saturday May 15, 2010 from 9:00 AM to 12:00 PM at the First Church of the Nazarene, 3401 West 3rd St near Vermont Ave. Los Angeles. We invite all organizations and individuals to participate in the festival and parade that will feature the cultures of the Philippines. Those who are interested to join the parade can register and come as parade participants. They must be dressed in Filipiniana or any Filipino or Filipiniana or regional customes of Luzon, Visayas and Mindanao. 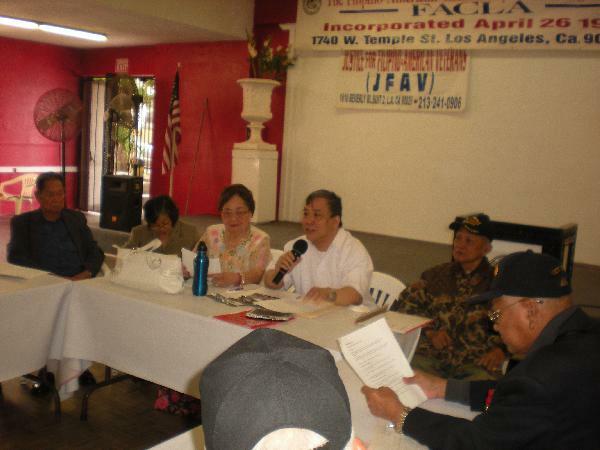 Los Angeles—The MayFlower Festival Outreach Project , a Neighborhood fiesta and inter-faith and non-denominational parade will be held on Saturday May 15, 2010 from 9:00 AM to 12:00 PM at the First Church of the Nazarene, 3401 West 3rd St near Vermont Ave. Los Angeles. We invite all organizations and individuals to participate in the festival and parade that will feature the cultures of the Philippines. Those who are interested to join the parade can register and come as parade participants. They must be dressed in Filipiniana or any Filipino or Filipiniana or regional customes of Luzon, Visayas and Mindanao. Those who are interested in the program who want to show their wares and prowess can contact David Rockello, the chair of the outreach committee at ((213) 924-4048 begin_of_the_skype_highlighting (213) 924-4048 end_of_the_skype_highlighting begin_of_the_skype_highlighting (213) 924-4048 end_of_the_skype_highlighting. For those who want to participate in the parade please register or contact the program coordinators: Arturo P. Garcia at (213)241-0995/(213)3211787 or Mila Coger at ( 213) 383-0050. Please come in Philippine customes if you want can bring your own top down vehicle for the parade.We welcome young people, adults and seniors to participate in the parade. The program and the parade will feature the cultures of Luzon, Visayas and Mindanao in addition to other multicultural cultures of Los Angeles. A bicycle and ecofriendly event goal is to develop the friendship and multiculturalism in the neighborhood. The MayFlower Festival Committee are composed of the Walk by Faith Church of the Nazarene. Justice for Filipino American Veterans (JFAV), AWARE, Office of Council Member and City Council President Eric Garcetti, Historic Filipinotown Improvement Association (HFIA), Silver Lake Medical Center (SLMC), Sining Kambayoka, Danza Azteca Cuahatemoc, KmB/Pro People Youth, Silver lake Adult Health Day Care (SLAHDC) and Echo Park Community Coalition (EPCC). The MayFlower Parade is is endorsed by Search to involve Pilipino Americans (SIP),Bantay Pilipinas, RVNC, Filipino Christian Church (FCC), Pilipino Workers Center (PWC), FASGI, FACLA ,LAPD Rampart Station,SGSI, Historic Filipinotown Neighborhood Council (HiFi NC), HFT Chamber of Commerce, Rotary Club of HFT and PANA.